Back to back BDJ unboxing for today. Let's start with the May box! BDJ's summer-ender box was perfectly themed, methinks. It was filled with products that could help us get back the moisture our skin and hair lost during the really hot summer days. And yes guys. Another jumbo issue with mostly full-sized items. WTG, BDJ! 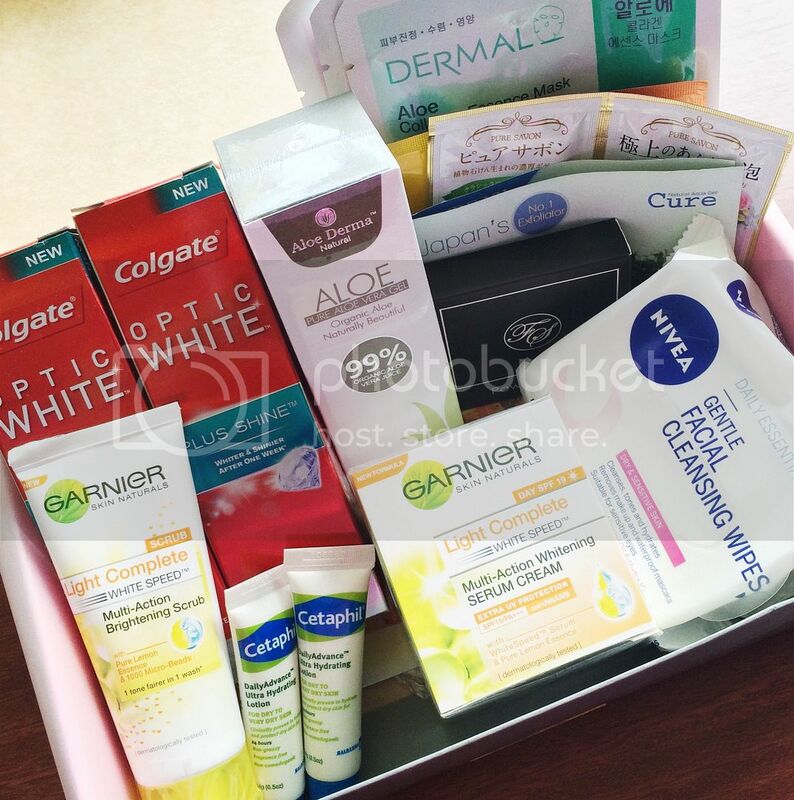 Most of the brands featured in the May box were brands I was already familiar with - Colgate, Garnier, Cetaphil, Nivea, Dermal, FS, Cure. The only brands new to me here were Aloe Derma, Himawari and Pure Savon. Let me quickly talk about these items. 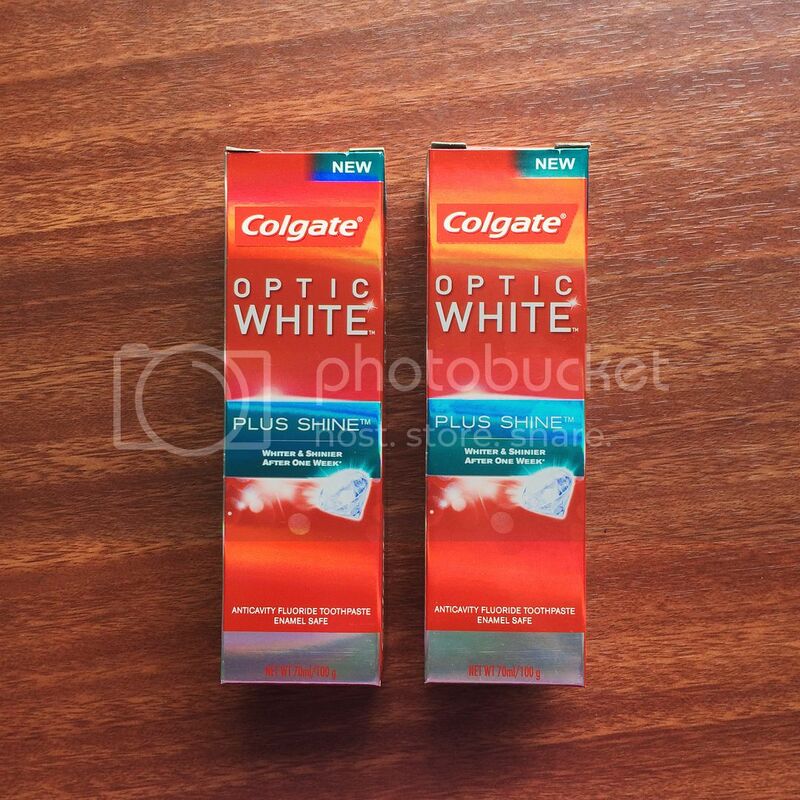 I believe this is a new variant from Colgate. I do like it (to some extent) when the products I get from beauty boxes are ones I regularly use, or at least new variants of products I regularly use. That means they won't go to waste haha. But I realize, on the other hand, that that's not as exciting as receiving products that are totally new to you! 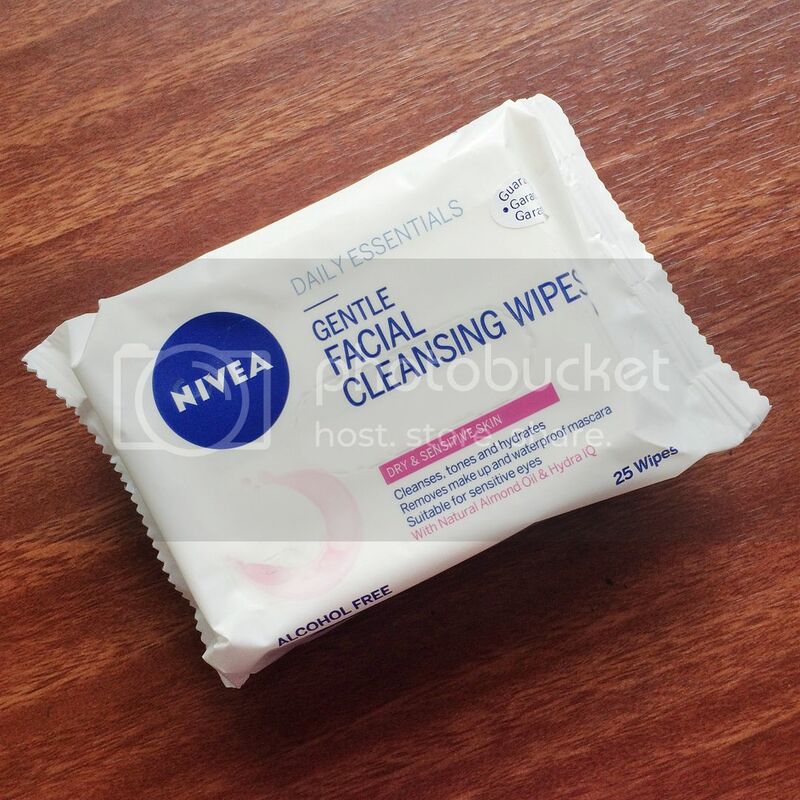 My fave item in this box was something I had already used before - Nivea wipes. I love love love the Nivea exfoliating wipes (blue) and would've preferred to get that variant instead (but I think other boxes did have that instead of this pink). I was still happy to get this, though. I'm using these now as my office makeup wipes. An essential, as I've been spending lots of late nights in the office recently. 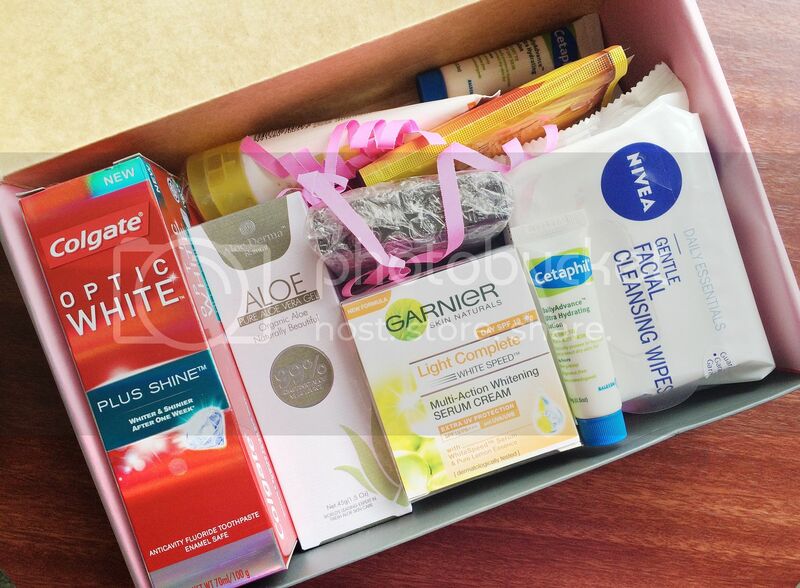 Another product I was happy to see in this box was the aloe gel. 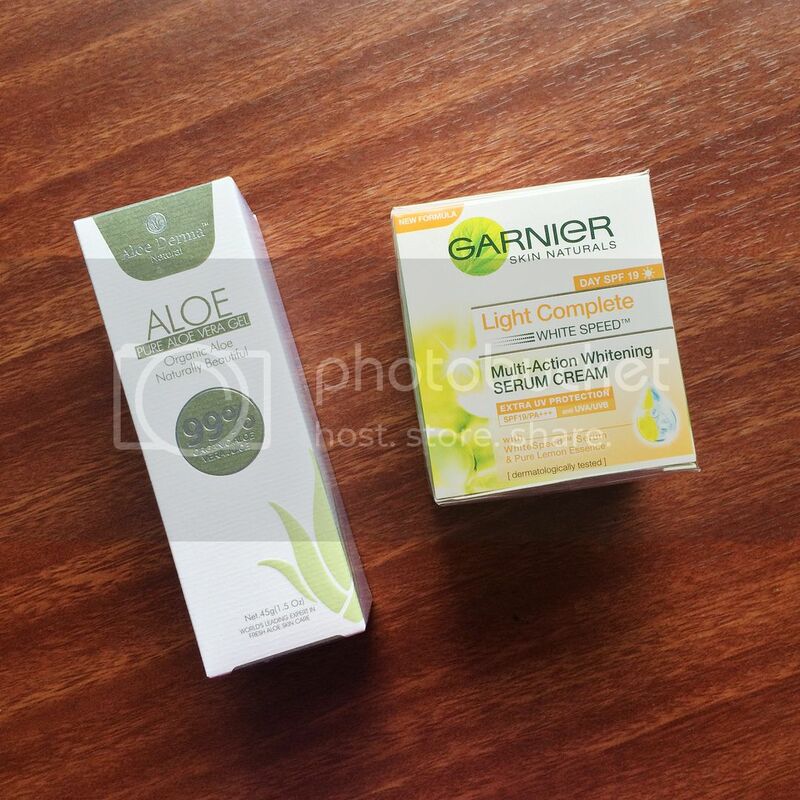 I haven't tried aloe gels before. I remember wanting the Nature Republic one so bad, but I never got to purchase that. Excited to try this and experience for myself how multi-functional aloe gel really is. The Garnier cream, on the other hand, I wasn't so excited about. I'm just not a huge cream user. Plus, I still have lots of serum lined up for use. This Garnier scrub, though, I was glad to get. Facial scrubs are a staple in my skin care routine. It's just that I have a lot of scrubs to go through right now, so I don't know when I'll be able to use this. I go through scrubs really slowly because 1) a little goes a long way, 2) I only use them 3x a week, max. 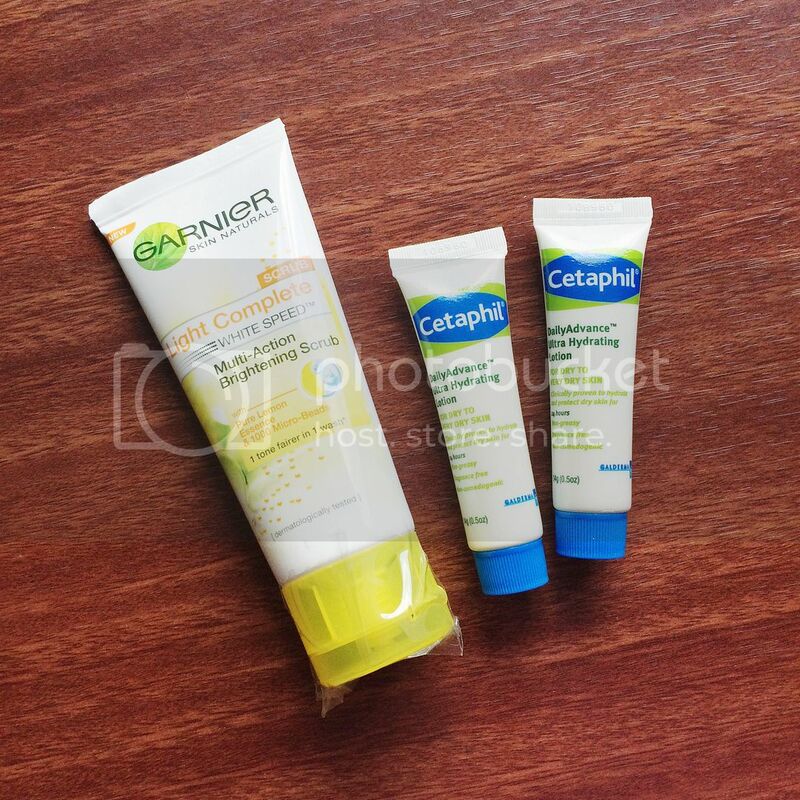 As for the Cetaphil lotion... I have actually already given them away haha. I'm just not a regular lotion user (I want to become one, but tamad haha), plus I still have lots of lotion in my stash. These next items were one of those I was excited to see in this box. 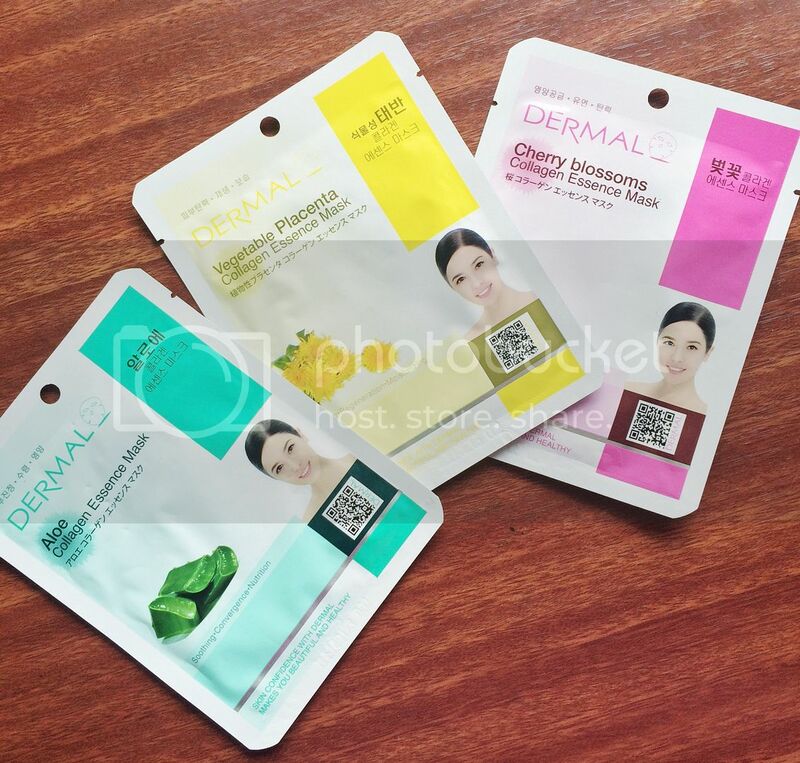 Dermal masks. I love Dermal masks! They're perfect for DIY pampering sessions. My personal favorites are the Aloe (glad to see that here) and Grape flavors. Excited to try Cherry Blossoms! 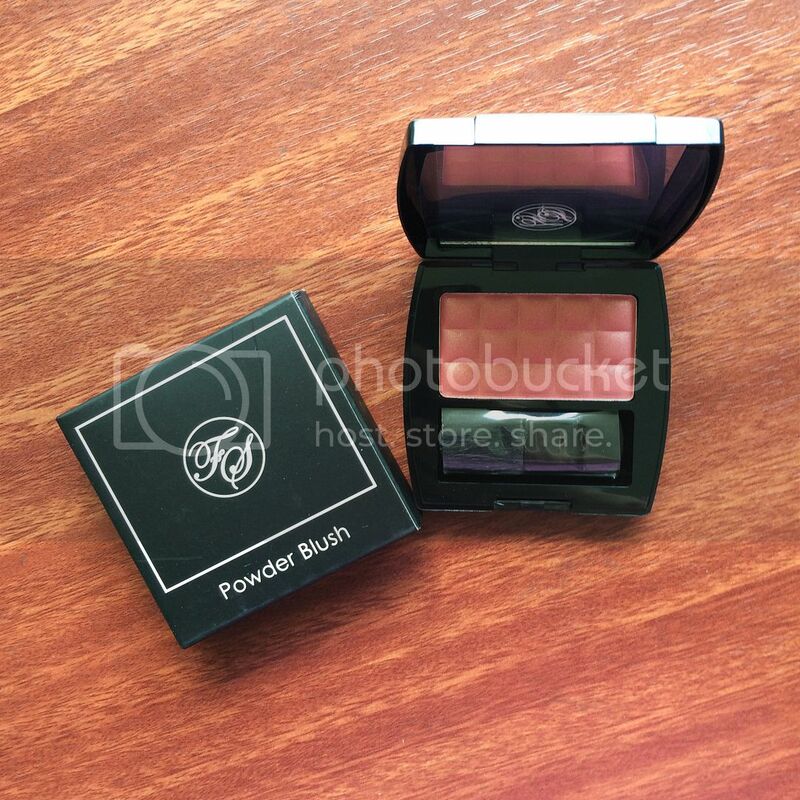 The only makeup item in this box was this FS blush. I always love receiving makeup in my beauty boxes. This shade, though, is too shimmery for my liking. I don't mind slight shimmer in my blushes - I think it helps make me look more fresh and blooming - but this (Silky Coral Pink) is a little too much for me. I might give this to my sister, though. She's putting together her kikay kit, and I 'volunteered' to help hahaha. I've already tried Cure before, and all I can say is that I still prefer scrubs over exfoliating gels. The Pure Savon body wash, I would have loved to get in full size! I love body washes. 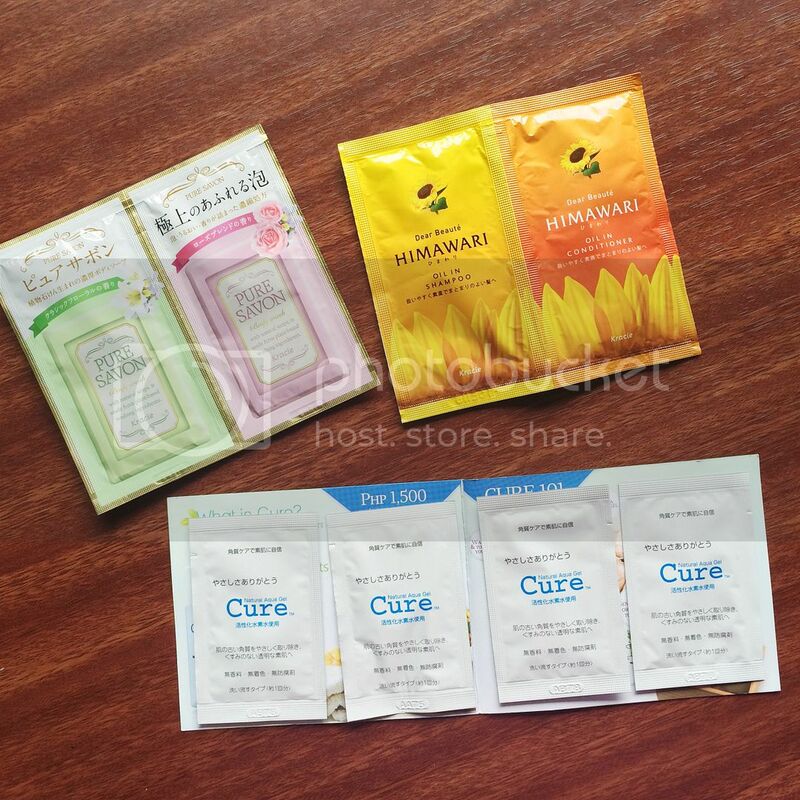 I'm saving these sample sachets for our trip next week. Lastly, the Himawari shampoo and conditioner... I'm not expecting much from these because I have long hair, and these sample sachets would only be enough for one use (two, max). Not enough for me to see how good the products are. But I might eat my words, who knows? After all, the first time I tried *this* conditioner, I fell in love immediately. And that's all for the huge May BDJ Box! I like that most of the items were in full size and something I would actually use. There were only a few that I couldn't see myself using. The brands, though, were not so exciting, honestly. Most of them, I was already familiar with. I would've loved a bigger sample of Pure Savon, especially since the brand's new to me. 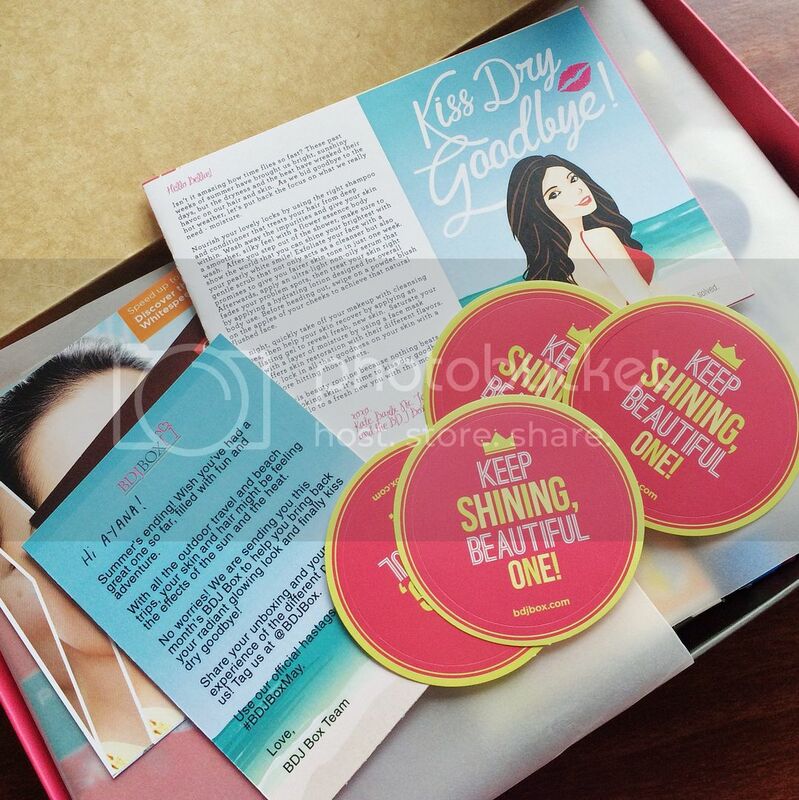 This box contained a little over 1500 Php-worth of products (excluding samples). That's twice the 580 Php subscription fee if you paid for it, so it's still worth it. Visit bdjbox.com if you want to subscribe and have a BDJ Box delivered to you every month. Hurry 'coz boxes sell out super quickly!